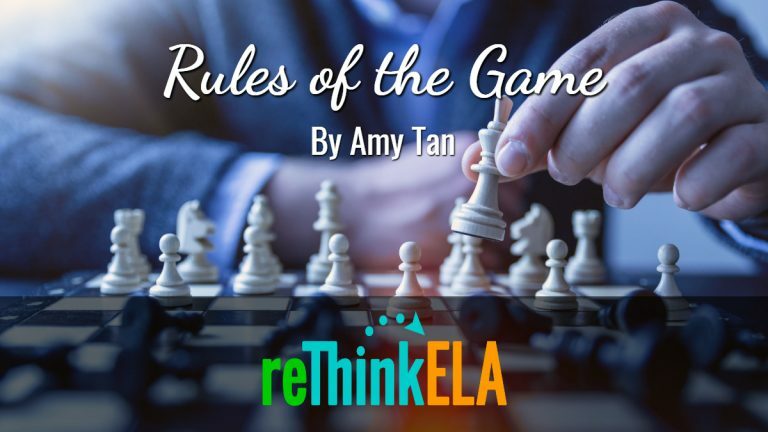 Rules of the Game by Amy Tan is a short story about a young Chinese-American girl and her journey both to find her place in American society, but also her struggle to relate to her overprotective mother as she learns how to become a chess master. Enter your name and email address below and you’ll be taken directly to our downloads page, where you can select a version and file type to fit your needs. We also offer additional resources we have curated from around the internet, which may include related print and nonprint texts.